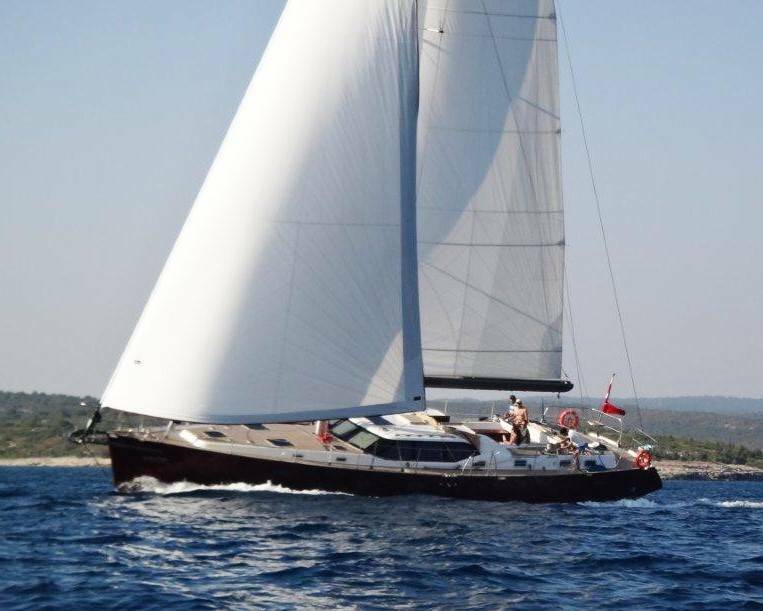 Wood Epoxy V 600 was built by Nazli & Yildirim Beyazit Usta in Turkey who writes "
" Average speed is 9.3 knots with the motor or sail & it is very easy to handle while cruising and very very smooth. 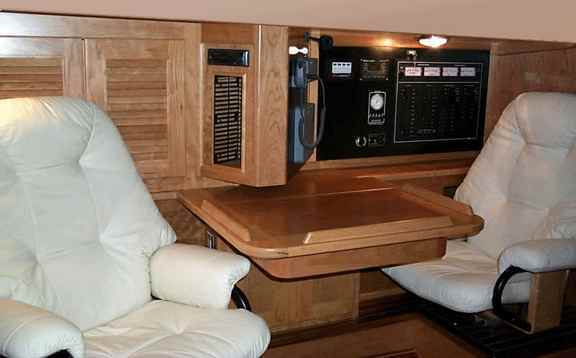 We only have to make very fine adjustments while steering. 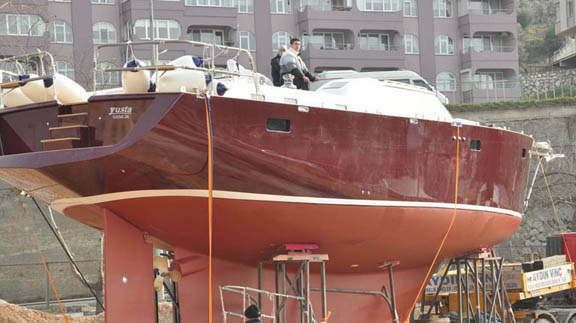 Our Voyager 600 is now a very successful charter boat in Turkey "
THIS VOYAGER 600 IS A CHARTER BOAT IN TURKEY. 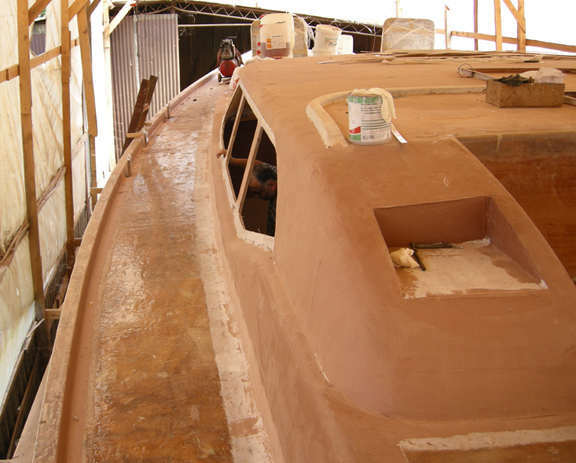 Each STUDY PLAN contains ALL the construction drawings for each material - WOOD EPOXY as applicable to the particular boat plan - with up to 25 sheets per plan! Lists of materials - Technical information - Numerous construction drawings are all included. You can view & print the drawings in full or in sections. 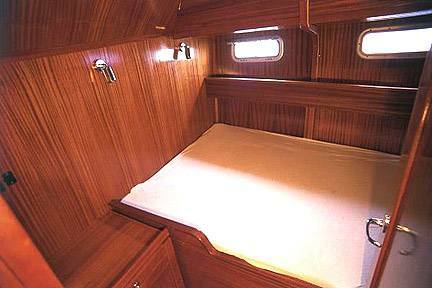 WOOD EPOXY boat plans & FSP ... 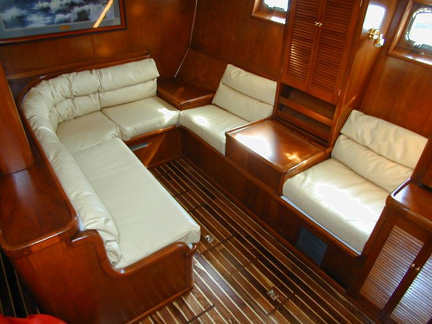 This boat will be available as a CUSTOM DESIGN for building in Steel or Fiberglass. Contact BRUCE for details. L.O.D. 18.28 m 60' 0"
L.W.L. 15.93 m 52' 3"
BEAM 5.49 m 18' 0"
Thank you for sending the new agreement and letting us know of the time schedule for the boat plans and patterns to be completed. We are very excited about the general arrangement. We also wanted to especially thank you for your patience and understanding through the design process. You should know that this boat has been a dream of my father for a very long time and we are very thankful to you for helping us to realize this dream. 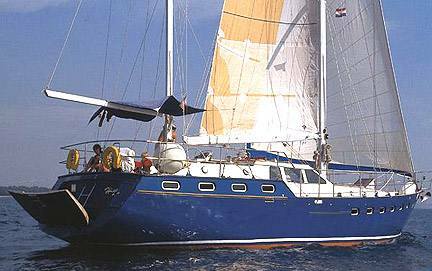 The general arrangement of the boat, which you have spent so much time on, is exactly how we dreamed this boat would be and we really appreciate your willingness and kindness to accommodate all our wishes. We are looking forward to seeing the final of the general arrangement. We hope that you won't hesitate to ask us any questions that might rise during the completion of the drawings. 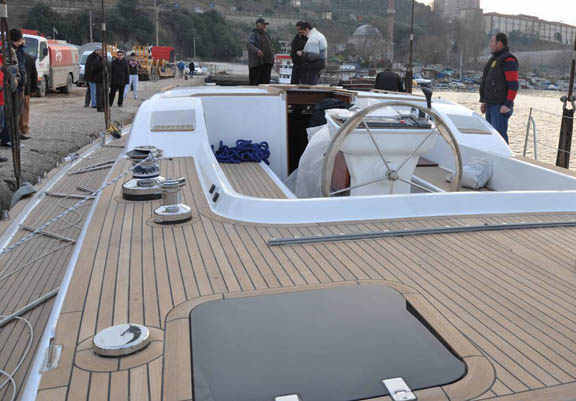 Note the sleek low profile of this Wood Epoxy V 600 was built by Nazli and Yildirim Beyazit Usta in Turkey. 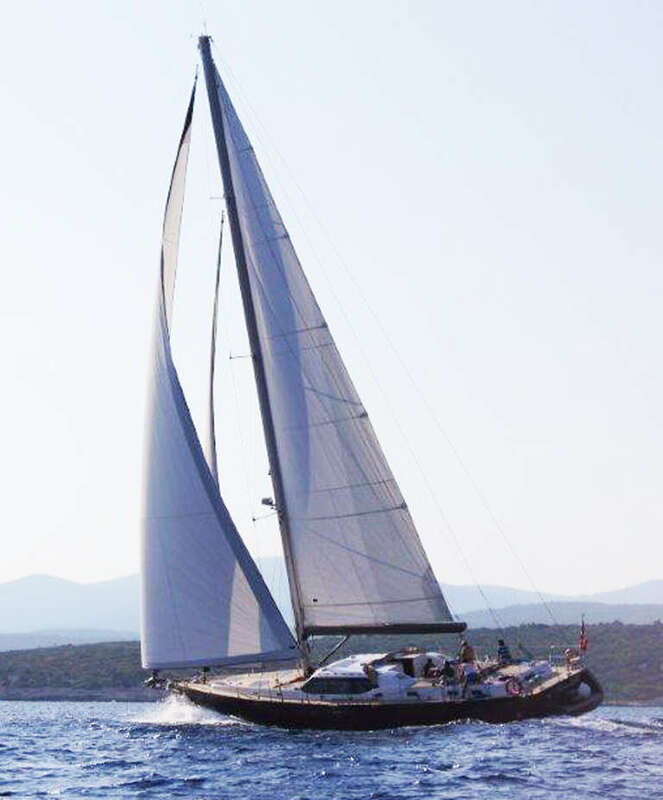 Featuring Roberts Contemporary long keel this Wood Epoxy V 600 was built by Nazli and Yildirim Beyazit Usta in Turkey. 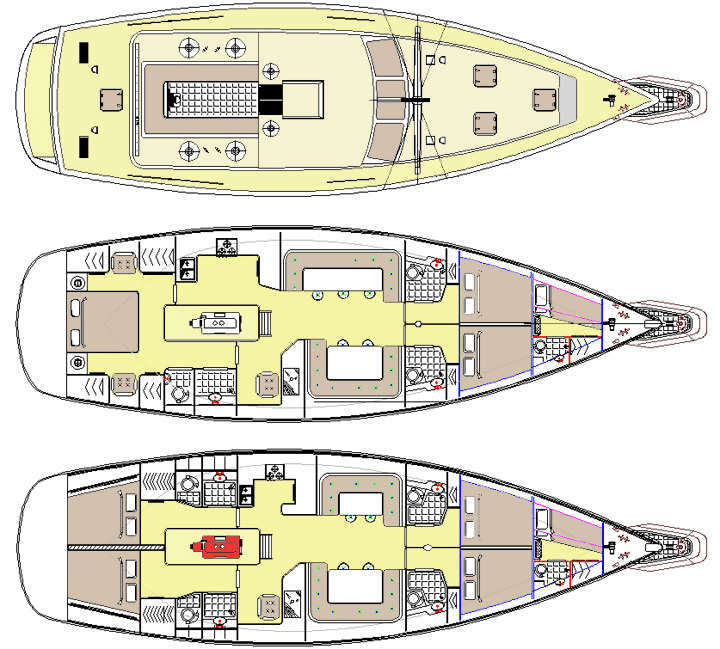 MODERN LONG KEELS: Above is shown the long keel design for the Voyager 600. 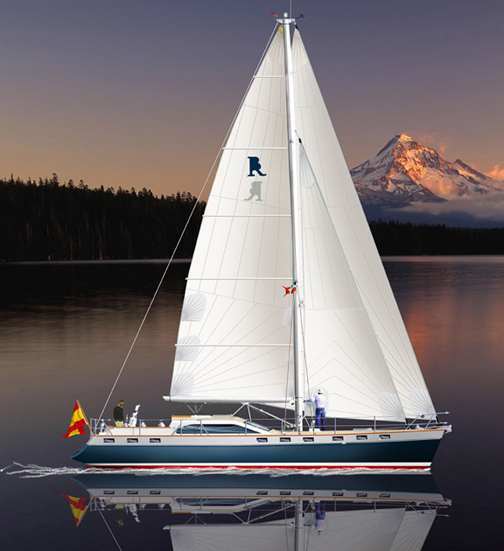 This keel has been developed over the past 30 years and benefits from our own experience & the hundreds of reports from owners of Roberts designed boats plus the use of advanced computer design techniques. 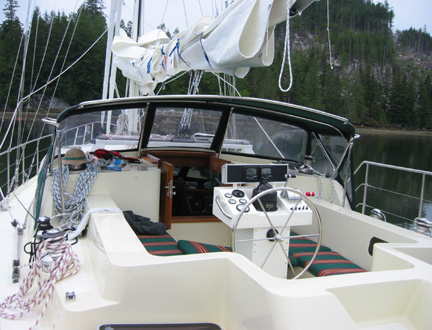 Hi Bruce, Attached are 2 more photos of my V542, as of Jul 29 (last month). we're currently working on putting the radius plates in place.